Karen Kliethermes is a visionary artist, illustrator, instructor, speaker, author, and Reiki Master/Teacher Practitioner based near Boulder, CO. She received her Bachelor of Arts Degree from the University of Colorado -- Boulder with an emphasis in drawing and painting. 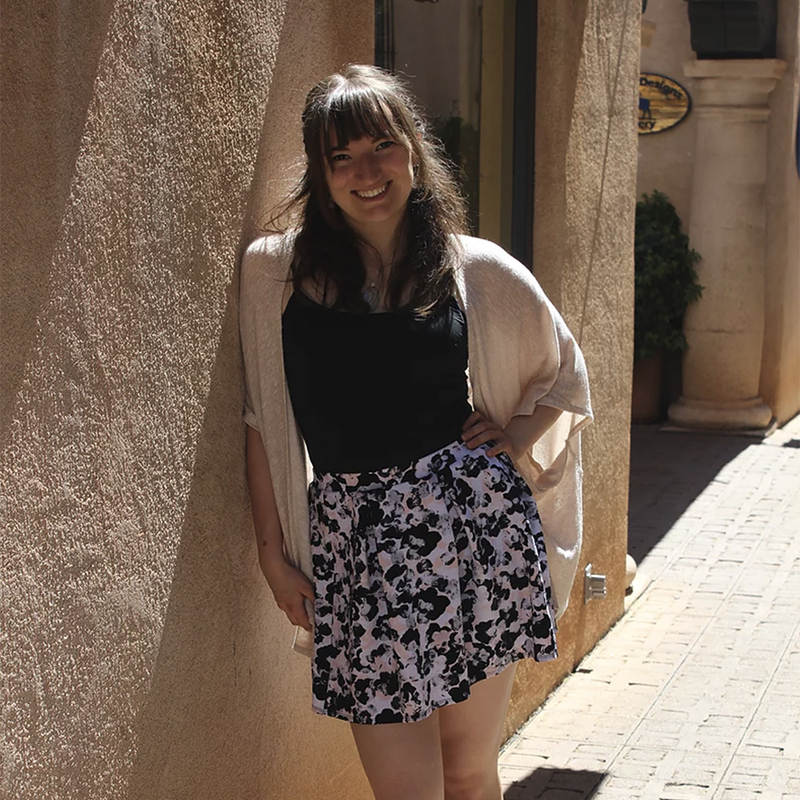 Since Karen is very passionate about preserving the life on this planet, her main objective is to do all that she can to contribute to the cause through her work. "I am very interested in metaphysical spirituality and visually portraying what is energetically felt rather than physically seen. After being diagnosed with a very severe case of Adrenal Fatigue Syndrome, I entered diverse world of alternative medicine in search of healing over the next five years. With the help of dozens of holistic practitioners, I was brought back to full health. Along the way, I received my initiation as a Reiki Practitioner. This entire experience was, and still is, utterly influential regarding my artwork, my career, and my overall perspective on life. Hence, I’m particularly fascinated with the energy body, and enjoy depicting it in its ideal state of full health and balance. My overall goal is to bring awareness to the understated aspects of human health, including mental, emotional, spiritual, and energetic health. Visually, I am highly interested in representing energy in texture, movement, contrast, color, and line quality. Some sources of my inspiration include the human body, dancers, rhythmic music, Asian ink painting, and nature." Rickie Leiter has always been fascinated by the creative process. A former art consultant in her native Massachusetts, her instinct to connect with creatives in her new home led her to found The Rickie Report in 2011. While its focus is the visual art scene in Southeast Florida, she sees personal inspiration in nature, as well as the performing arts. Rickie’s mission is to help emerging artists achieve meaningful careers and to guide professional artists in finding their niches. With a world-wide readership, The Rickie Report brings visual artists and art lovers/art patrons together. For her, these relationships are the bonds that create a well-educated and well-rounded community. Rickie’s own creative process over the years has included fiber art, one-of-a-kind wearable art necklaces, and mosaics. In addition to having earned an MSW, Rickie has served as a long-time volunteer in national and international non-profits, providing her with a solid on-the-ground education for marketing, communication and leadership training. She and her husband, Jeff, publish The Rickie Report while enjoying the cultural bounties around them. 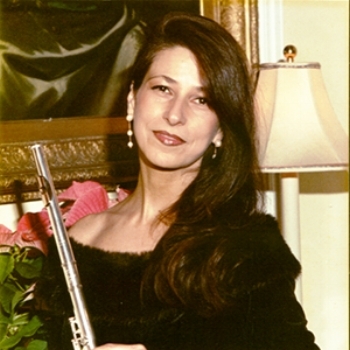 Grammy nominated flautist and music educator, Susan Schiffman, was formally trained in music performance and education in France, Italy and New York. Susan has performed as a soloist and in orchestras throughout the USA. Now based in Vermont, Susan brings her love of music, arts and the environment to young people and is formally recognized as a Distinguished Arts Education Leader. Susan will take inspiration for her performance from the audience and will offer classical, whimsical and dramatic pieces to heighten your enjoyment of this dramatic and touching exhibition. Irina was born in St. Petersburg, Russia and began art school at 6 years old. She graduated from the prestigious Mukhina Academy with a degree in Industrial Design. She successfully sold her paintings in Russia and Scandinavia and moved to the US where she has worked in the fashion industry in Palm Beach since 1997. With her great eye for fashion, design, and jewelry, Irina has traveled extensively in Europe and South and Central America. For the last several years she has focused on Asia, visiting Thailand and Bali several times, where she has collected great pieces and established working relationships with local artisans. Her works reflect her love for nature, wildlife and wild places. Her own hand made fashions include hand painted silk wearables and unique T-shirts with her designs rendered in Swarowski Crystal. Irina lives in South Florida with her husband, Paul, several cats, one very special lizard, and her soul-mate Nikki, an African grey parrot. Award winning artist Agata Ren graduated from the University of Applied Sciences, Dusseldorf, Germany. Her artwork was exhibited in numerous shows in different countries and is in private collections nationally and internationally. She is currently working on her newest fine art collection depicting endangered species in her Boca Raton studio. 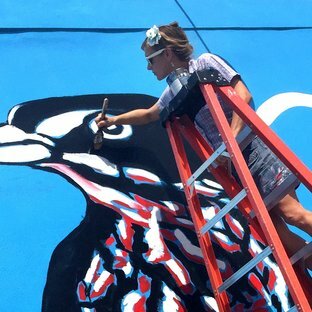 Ren was commissioned by the City of Pompano to paint a sculpture, has murals in Broward and Palm Beach county and was awarded the Artist in Residency 2016/17 for the ArtCitywide Project by the PAAB Delray Beach. The image of her Owls was purchased by Carlson Hotels, Inc to use for hotel walls worldwide for a period of 10 years. 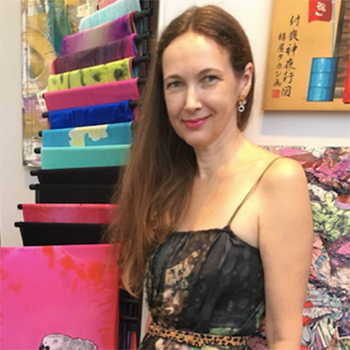 Agata Ren is Jury Chairperson for the Women In The Visual Arts Inc, an exhibiting member of the Boca Raton Museum Art Guild and the Cultural Council of Palm Beach. Linda was raised in rural Northwestern Pennsylvania, surrounded by the untamed beauty of nature and wildlife. St. Mary’s was famous for its hunting; and at eight years old, Linda witnessed the horror of a freshly killed deer – stomach split and dripping blood – hanging from the neighbor’s clothesline in the dead chill of winter. The helplessness of animals against the power of man has haunted her from a very early age and she believes that her mission in life is to be a staunch defender of all animals, through the power of her art. Linda’s series of work - The Tortured Souls - depicts the barbaric world of animal testing; and focuses on the unwilling animal subjects who suffer in the name of science. Every year, millions upon millions of animals are dissected, infected, injected, gassed, burned and blinded in hidden laboratories throughout the world. Still more animals are used to test the safety of cosmetics, household cleansers and other consumer products. These innocent primates, dogs, cats, rabbits and rodents are used against their will as research subjects in a multitude of experiments that would be considered barbaric were they not conducted in the name of science. The Tortured Souls examines the inherent ethical conflicts that arise by forcing these species that once lived in freedom to die for dubious causes of mankind. This body of work is based on a merging of her photographs into dreamlike, digital collages output as large-scale giclee prints. 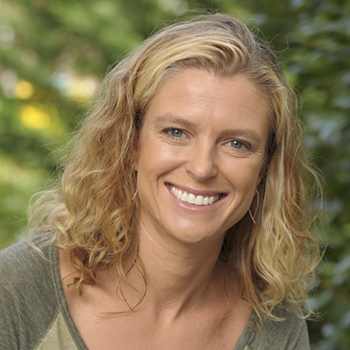 Focused on conservation and nature travel, Kirsten is a writer, photographer, and environmental educator with an M.Sc. in biology. Raised in the Philippines but based in Miami since 1998, she has been stashed under thorny bushes by Maasai in Kenya, had her lunch stolen by monkeys in the forests of Borneo, battled crocodiles in Australia, faced down a bowl of boiled frogs in China and checked off her last continent with penguins in the Antarctic. Kirsten’s Nature & Travel blog includes reviews, tips, travelogues, and general nature- and travel- related tales, written in a creative non-fiction style. Most entries are illustrated by her photography, and more of Kirsten’s images can be seen in her photo gallery. For Phoenix the extraordinary beauty of nature and wilderness are a wonder. Attempting to fix them in time is her passion; photography is her art. Known for her painterly approach to composition, light, color and texture in her photography, she is the recipient of an Artist in Residence in Ireland, public art grants and art awards. Her works have been honored in numerous juried exhibitions, showcased in 14 solo exhibitions, including Everglades National Park Gallery and Olive Stack Gallery, featured in magazines and calendars worldwide and can be found in private collections internationally.